HSH Princess Charlene was in London a week ago to attend an elegant event where she announced that the World Rugby Awards would be hosted in Monaco for at least two more years, from 2017. On Friday 11th November, the Princess attended the Captain’s Run at Twickenham and was joined by Prince Harry to watch England vs. South Africa. The World Rugby Chairman Bill Beaumont thanked the Prince and Princess for their “commitment and enthusiasm in welcoming the awards to Monaco”, stating he was looking forward to the future global rugby presence in the Principality next November. 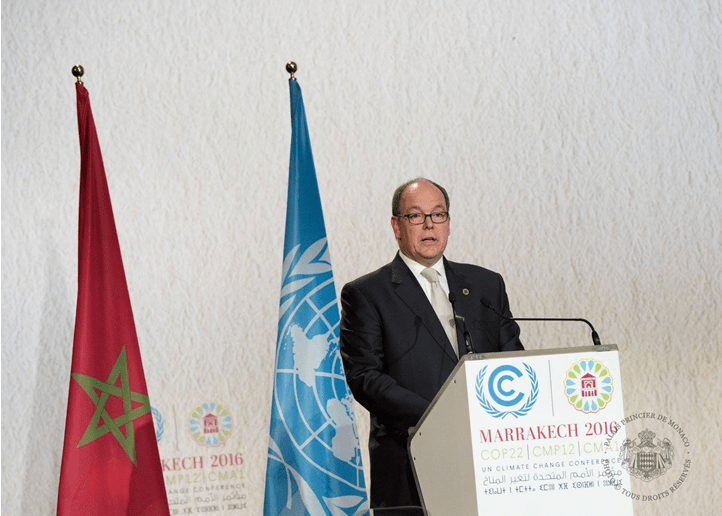 HSH Prince Albert II was in Morocco to attend the COP22 (Conference of the Parties, governing body of the UN Framework Convention on Climate Change) which takes place this year in Marrakech. On Saturday, 12 November, HSH the Prince was welcomed by HRH Princess Lalla Hasnaa and gave the opening speech for World Oceans Day in the presence of Ségolène Royal, President of the COP21. The Sovereign then attended the E-Prix de Marrakech race. Monday, 14 November the Sovereign received an audience with Patricia Espinosa, Executive Secretary of the UNFCCC, where they discussed how to ensure the effective implementation of the Paris Agreement. On this occasion, HSH Prince Albert II signed the declaration of intent for the launch of the international coalition to reduce plastic waste at sea. On Tuesday, 15 November, the Prince was welcomed by His Majesty King Mohammed VI, Secretary-General Ban Ki-Moon of the United Nations and Mr. Salaheddine Mezouar, President of COP22. 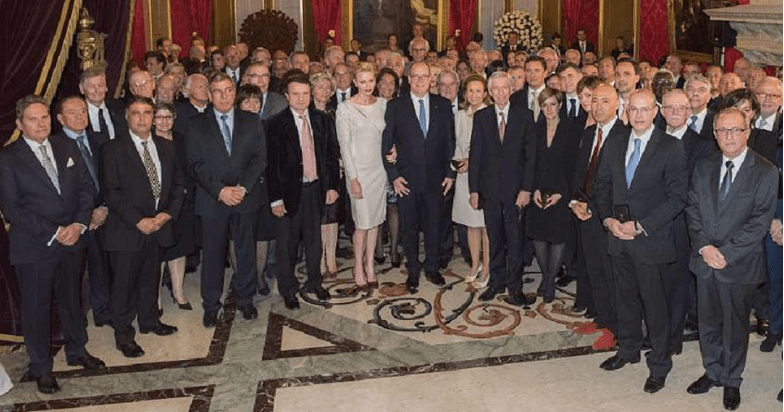 All the Heads of State and Government were invited to a luncheon at the Royal Palace of Marrakech, with an afternoon of speeches, and there the Sovereign spoke on behalf of the environmental integrity group to which Monaco belongs. HSH Princess Charlene attended a Service of Commemoration and Thanksgiving on Remembrance Sunday accompanied by her brother Gareth Wittstock and Her Excellency Evelyne Genta. 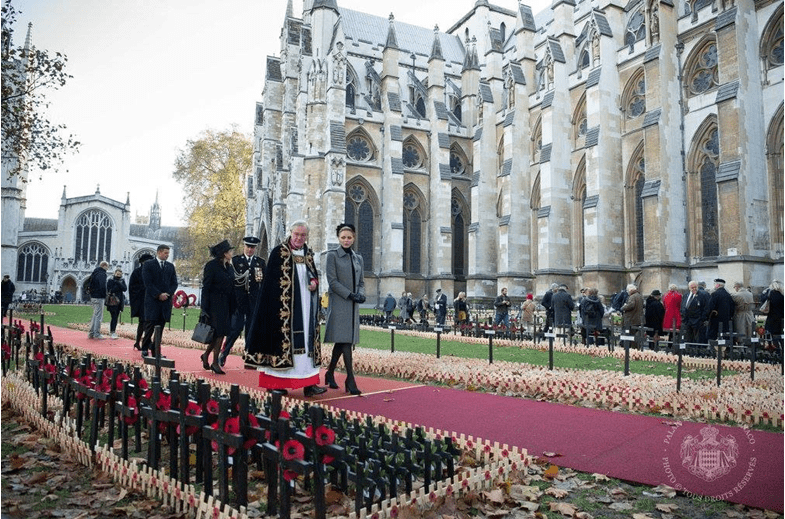 The Princess was extremely moved by the service and planted a personal tribute in the Field of Remembrance on the grounds of Westminster Abbey. During Her visit, HSH Princess Charlene met with Sir Tim Laurence to discuss drowning prevention. Sir Laurence is a trustee of the Royal National Lifeboat Institution (RNLI) and has long been actively involved in RNLI’s important work. Princess Charlene of Monaco Foundation has been collaborating with the RNLI since was created. It has supported several programmes such as “Learn to Swim” and “Water Safety” in Tanzania and Malaysia, and other projects are currently under consideration. On the 16th of November, HSH Prince Albert II presented medals. Medals for physical education and sports were also presented to the Ministry of the State by HSH Prince Albert II. The medals presented included the following categories: Red, Silver, and Bronze. HSH Prince Albert II and HSH Princess Charlene presented gifts to 160 recipients including disadvantaged communities and families from Iraq and Syria, supported by the Monaco Red Cross. Thanks to generous donations, the annual gala, and sales, a fund of more than 1 million euros has been made available to support society’s most vulnerable.